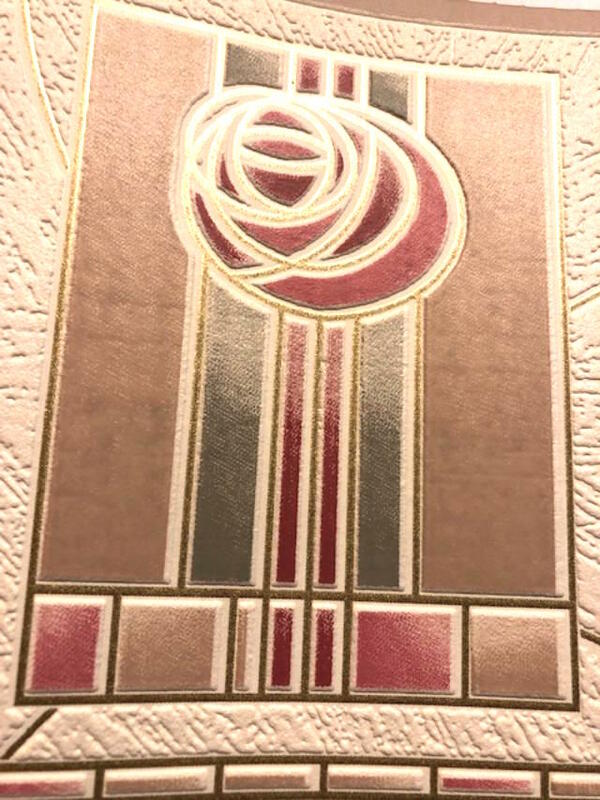 Art Deco wallpaper border. Textured pattern with geometric design. In shades of green, rose and taupe on cream. A stunning example of a very special, art deco wallpaper border. Usage: Ideal for an Entrance Way, Bedroom or Dining Room.